ARTICLES Optima vs Stop IRS: Which is Better for Your Debt? Optima vs Stop IRS: Which is Better for Your Debt? 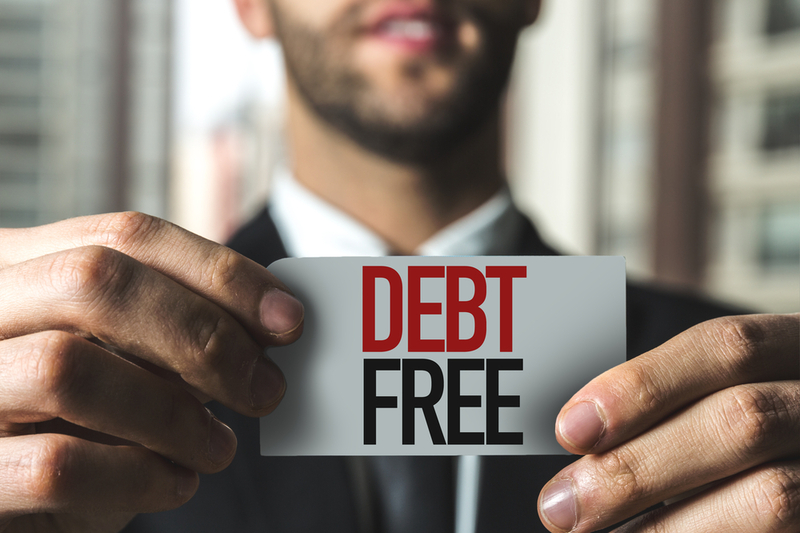 Optima and Stop IRS are two of the most popular debt relief companies in the country, helping taxpayers clear both large and small amounts of debts. Both companies offer similar services, including assistance with missed tax returns, wage garnishment, and IRS audits. Scaled pricing and more experience with settling a wide range of debt amounts make Stop IRS the best choice for most taxpayers. If you need to get out from under tax debt, your best solution is working with a debt relief company. While there are many companies that can help you deal with outstanding tax debt, Optima Tax Relief and Stop IRS Debt are two of the most popular choices. To choose between these two debt relief companies, it’s a good idea to compare some of their strengths and weaknesses. Here is some information to help you choose between Optima versus Stop IRS so that you can be certain you’re working with the right debt relief company. When you’re trying to choose between two tax companies, such as Optima and Stop IRS Debt, the amount that you owe to the Internal Revenue Service (IRS) is the first factor that you should consider. Both companies require that a taxpayer have a minimum amount of tax debt before services are available, but their thresholds are different. Stop IRS Debt requires that taxpayers have at least $1,000 of tax debt before services will be considered. This makes Stop IRS the best choice for most taxpayers, as smaller debt amounts are common. Optima Tax Relief specializes in debts over $10,000, so they should be reserved for those dealing with a large tax burden only. Another important factor to keep in mind when comparing Optima versus Stop IRS is how much you’ll pay for tax relief services. While you want to get out from under your tax debt, you also want to keep the costs of your debt relief services as affordable as possible. One of the biggest benefits of choosing Stop IRS over Optima Tax Relief is that their pricing is tailored to your specific tax issue. The cost of their services depends on the complexity of your situation. This means that if you’re dealing with a minor, one-time tax issue, you can expect very affordable pricing. The amount that you will pay Optima also depends on the complexity of your case. The services offered by Optima Tax Relief start at $495 and can rise depending on the specifics of your case, including the type of help that you need. On average, Optima customers pay $4,000 for help with tax debt relief. Because their minimum payment is fairly high, Optima Tax Relief may not be the right choice for most taxpayers. Whichever company you choose, you’ll have access to a money-back guarantee, which should provide you with some peace of mind while you’re trying to clear your tax debt. Only Optima, however, requires no retainer fee, so if you’re interested in controlling your fees and costs as much as possible, Optima is the better choice. Both Optima Tax Relief and Stop IRS Debt offer a wide range of services, meaning you should be able to get the help that you need, whichever company you choose. For instance, if your debt has caused the IRS to place a levy on your bank account, both companies can help. They can also assist you with tax liens and asset seizures. Although there are some major differences between Optima and Stop IRS, both of these companies are able to offer in-house services, thanks to a team of experienced tax professionals. For instance, both companies have tax attorneys that can help you with your debt. Working with a tax attorney is especially important if it’s possible you have committed a crime or if you do business internationally. Optima Tax Relief and Stop IRS Debt also have enrolled agents on staff. Enrolled agents are tax professionals who understand the ins and outs of the tax system. These agents are credentialed by the IRS after working with the agency for five years or by passing an exam. The benefit of working with an enrolled agent is that they can represent you before the IRS, which makes working with the agency considerably easier. Finally, both companies offer certified public accountants (CPAs), who have expertise in handling tax and financial records. In addition to assisting you with an audit, a CPA can help you with financial planning and tax strategies so that you don’t find yourself dealing with tax debt again in the future. Stop IRS Debt and Optima Tax Relief are both located in California. Optima is based in Santa Ana, and Stop IRS operates in Los Angeles. While the companies are based in California, they offer services throughout the country. Both companies work with taxpayers in 49 states and Washington, D.C.
Stop IRS was founded in 2001, and Optima began operations in 2011. Both companies work with businesses and individual taxpayers. Because Stop IRS has been in business for 10 years longer than Optima, they are the better choice for taxpayers who value experience and a history of success. If you’ve never had to deal with debt relief before, it’s important to consider whether you need to work with one of these companies. For instance, those with under $10,000 in debt who can afford an installment plan may want to contact the IRS directly. The agency is not allowed to reject installment agreements. If you have more than $10,000, you should strongly consider working with a debt relief company such as Stop IRS. You should also work with a debt relief company if you are unable to afford to pay your back taxes. If you simply don’t have the money to pay your taxes, negotiating a settlement is your best option, and debt relief companies will have a much easier time negotiating these settlements than you would on your own. If you’ve decided debt relief is the right option for you and you need help choosing a company, Solvable is your top resource. In addition to this comparison article, we provide a library of debt relief company reviews that will provide you with the information you need to choose the right services. With the resources provided by Solvable, you’ll finally be able to get rid of your tax debt and back to your life.